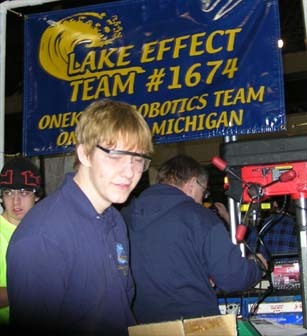 On March 8-10, the Onekama Lake Effect Robotics Team attended the Great Lakes Regional competition at EMU. 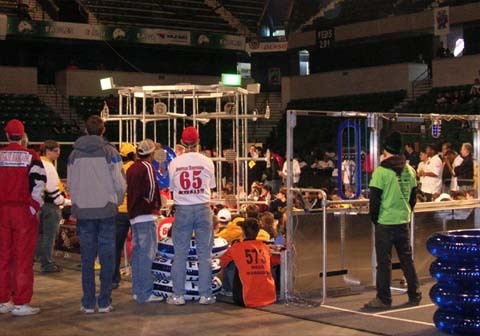 Fifty-nine teams came to compete from all over Michigan. 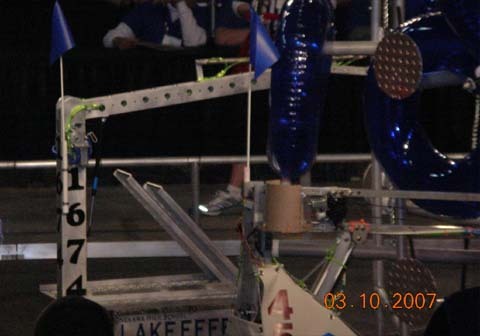 Teams had 6 weeks to build a robot from scratch, constructing a claw that had the ability to grasp an inflated inner tube and place onto a rack. 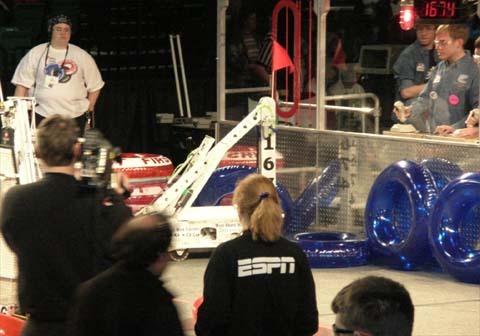 Many robots also had the capability to ramp onto other robots. 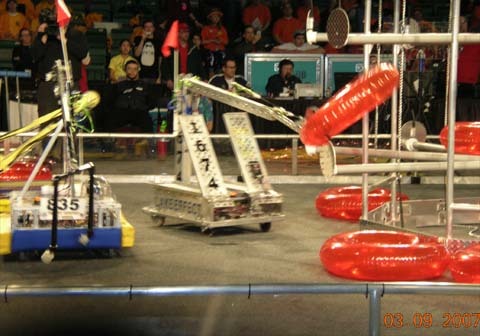 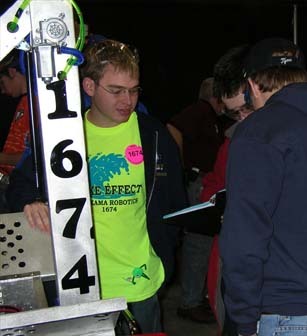 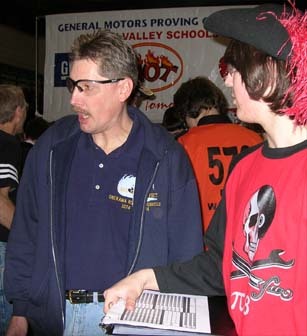 Points were earned based on the performance of a team of three robots. 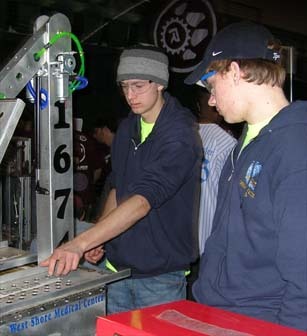 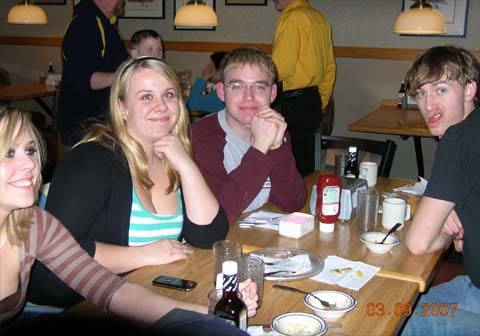 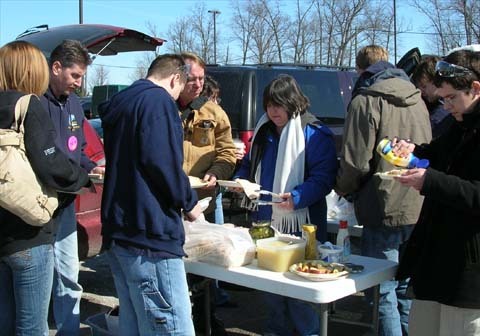 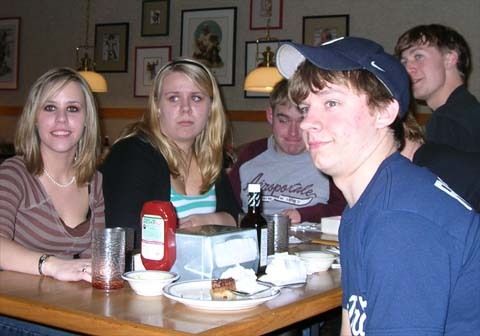 Team members include Todd Lyman, Matt Berryhill, Trevor Miller, Travis Miller, Tim Veverica, Kristy Sievert, Hailey DeRosia, and Logan Gutowski. 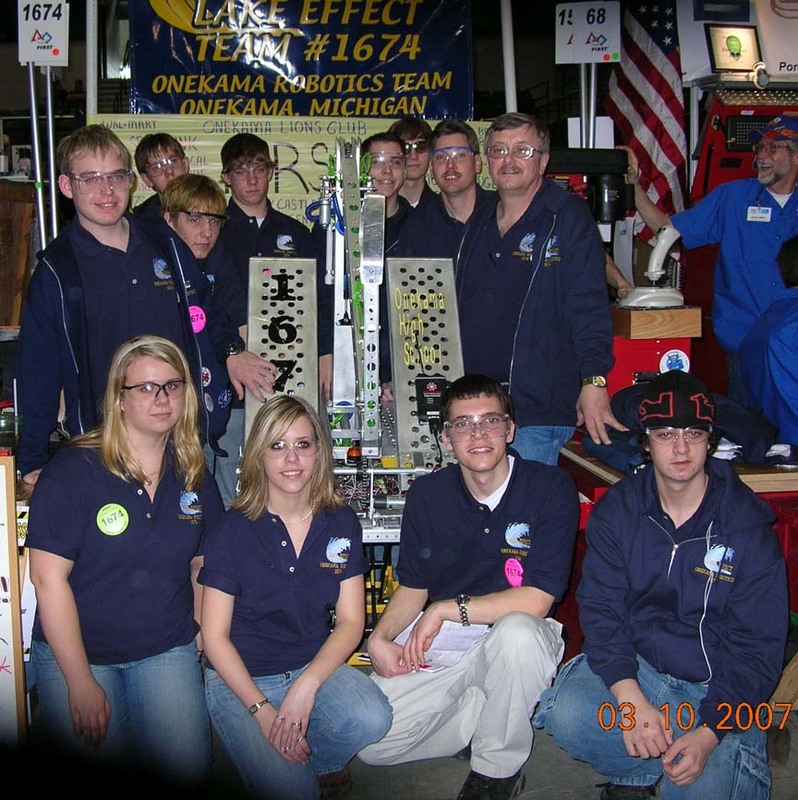 This competition was an impressive sight with the EMU stadium�s lower deck filled with robotic teams from all over Michigan, including a team from Texas and Ohio, and two teams from Canada. 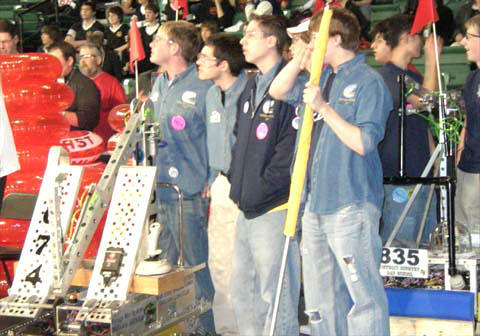 Many of these teams are sponsored by large corporations such as GM, DaimlerChrysler, ExxonMobil, and Ford Motor Company. 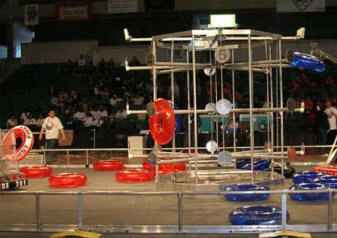 The students on these teams were focused, determined and competitive, while displaying gracious professionalism. 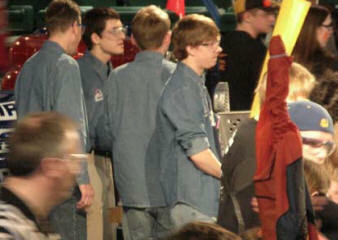 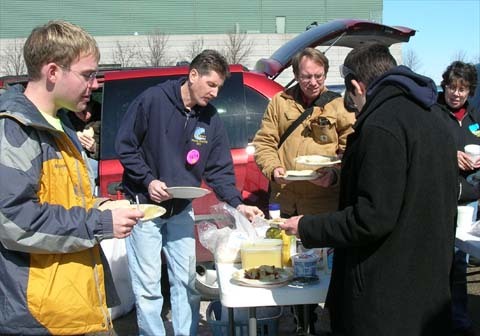 Mentors for the team are Bernie Pesko, Jack Miller, Tyler Miller, and Chris Pesko.